Every good vacation requires an excellent home base, a hotel that provides all of the creature comforts to keep you refreshed for days of sightseeing, dining, drinking, dancing and all of the other fun involved in a trip away from home. I have found just the place in Nashville, the Loews Vanderbilt. If you’ve been following me here for long, you know I spend a good amount of time in hotel rooms either for work or play…or truly a combination of both as work really feels like play. I know a good hotel room when I see it, but every once in awhile, a hotel comes along that is so perfect it makes me sad to go home when my trip is over. The Loews Vanderbilt is way at the top of that list, and not just because of that stunning view shown in the photo above. I flew into Nashville with my favorite fella on quick morning flight. We are a hop, skip and a jump from Nashville, barely an hour flight. I knew from the minute we hit the rental car counter in Nashville, this was going to be a terrific trip. I was offered an upgrade to a larger car than I had reserved, but assured the counter agent I would be just fine with a small car as I drive a tiny one at home. To which he replied, “Would you like a MINI Cooper then?” Um, yeah! Perfect, a small car for toodling around Nashville. That was just the first of many happy surprises on our Nashville trip. Call it Southern Hospitality, if you like. I’m still not sure what to call it, just that the trip was full of hospitality and surprises that made me never want to leave Nashville. I’ll tell you all about it this week, but we really need to start with the hotel. 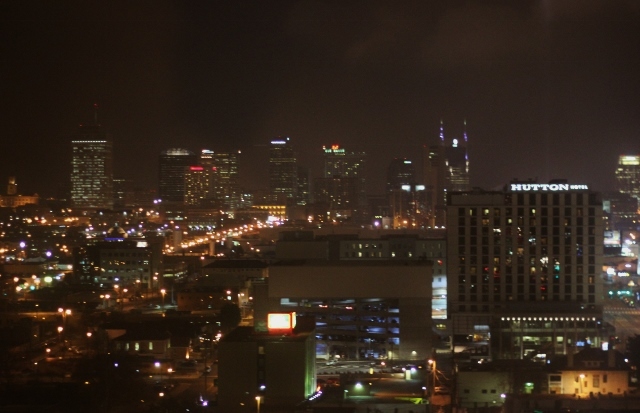 The Loews Vanderbilt is located just a few miles from downtown, an ideal location if sightseeing is in the plans. 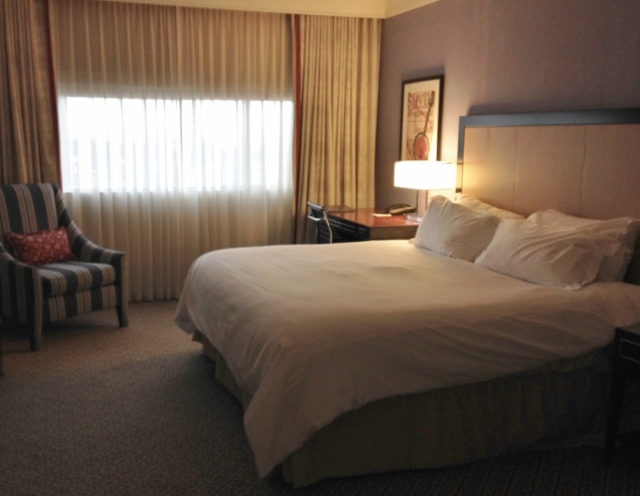 It was perfectly located for us, as we were in town for a concert at the Bridgestone Arena. There’s plenty of parking at the hotel and even a few parking spaces with chargers for electric cars. We booked a package that included parking in the attached parking garage, which worked out well as we were visiting during a cold snap. Check-in at the hotel was a breeze. 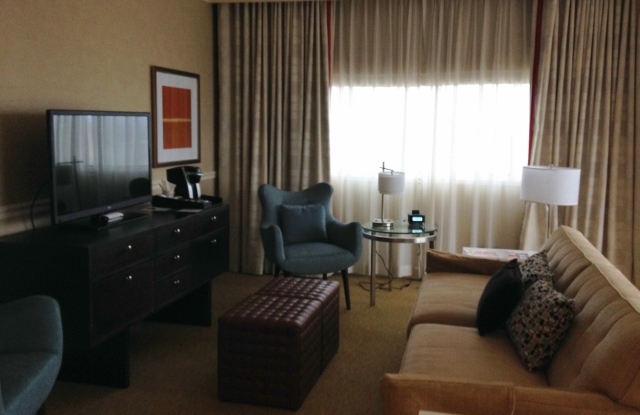 We were delighted to hear we had been upgraded to a suite (another one of those fabulous Nashville surprises) and given a quick run-through of the hotel amenities, including the complimentary shuttle within a 3 mile radius of the hotel. We also learned there was a celebration happening that evening in the on-site bar, The Mason Bar, celebrating Chef Brandon Frohne of the hotel’s restaurant Mason and his appearance on a Food Network show. Seriously, how perfect is this for a food writer’s vacation? Before I tell you about our room, I have to tell you how inviting the hotel lobby is. There’s a gorgeous fireplace visible from outside and inside with a fire illuminating the space 365 days a year. 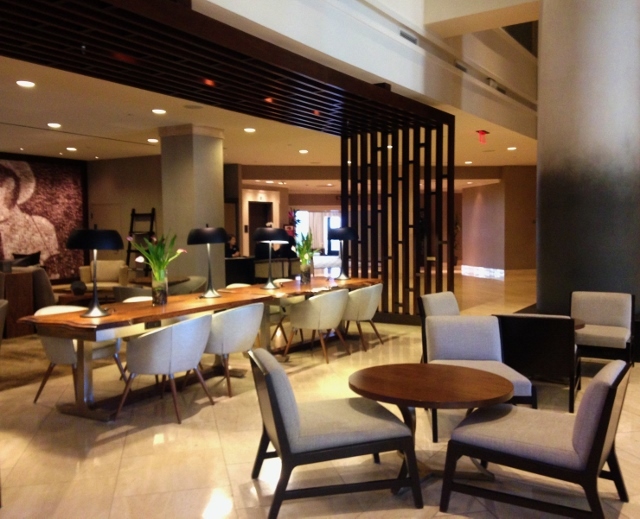 Plenty of comfortable seating, a 1950s jukebox with present day music, a nod to the mix of old and new Nashville the Loews Vanderbilt offers in one inviting space. So many of you commented on my Instagram photos about the chandelier above the dining table. I agree with you, it’s terrific. 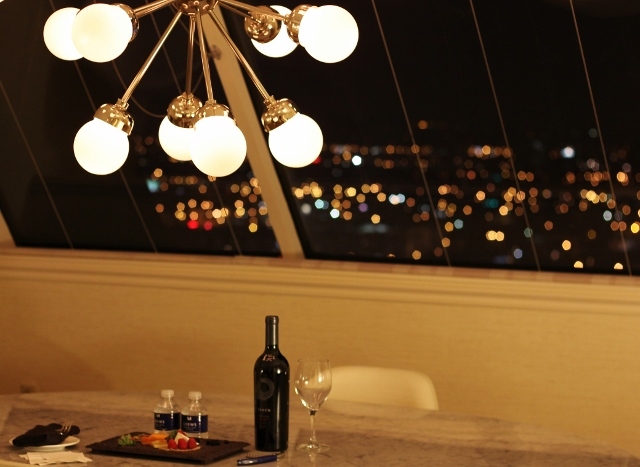 And the view beyond that chandelier? Stunning. 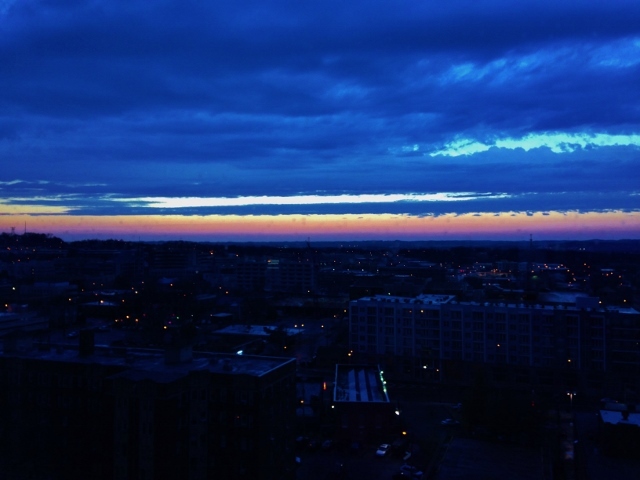 I spent plenty of time gazing out the window at the Nashville skyline, whether sparkling with lights in the evening or as the sun rose early in the morning after a rainstorm. It was the perfect place to enjoy a bottle of wine and a tray of delightful goodies compliments of the hotel. 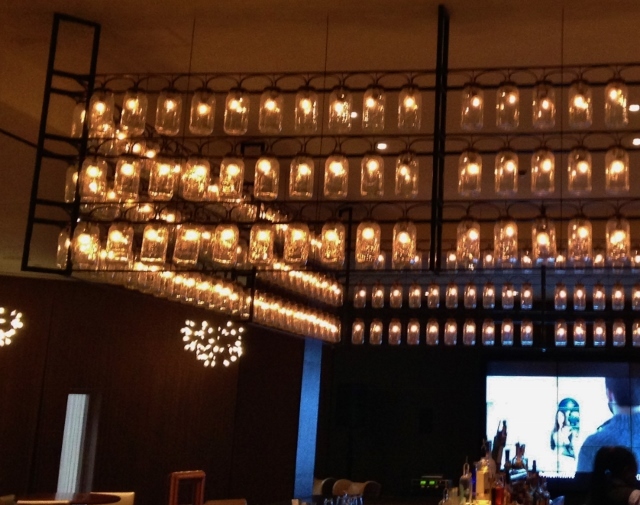 The light fixture surrounding the entire bar is made of Mason jars. Clever! Y’all know I’m an egg snob, right? The hens in our backyard make the prettiest eggs and I’m particular about my deviled eggs above all other egg preparations. These, well, they are done to perfection. Not over-boiled, not too much mayonnaise, the perfect amount of seasoning, never was there a better late night snack. But it didn’t stop there. 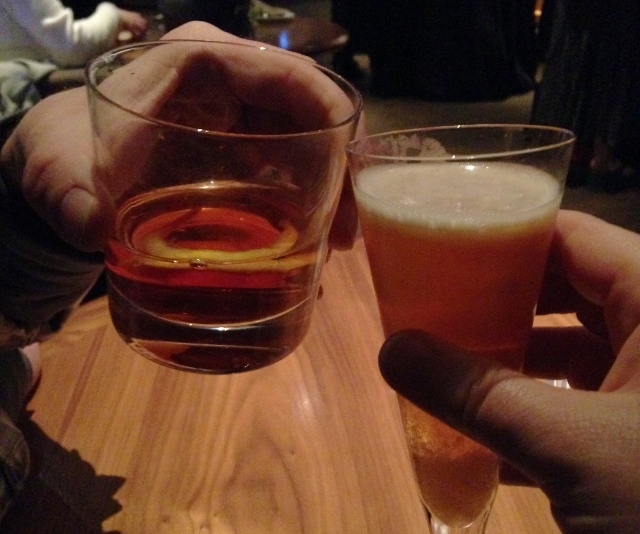 Not only did I order them from room service, I had them two nights in a row at The Mason Bar. 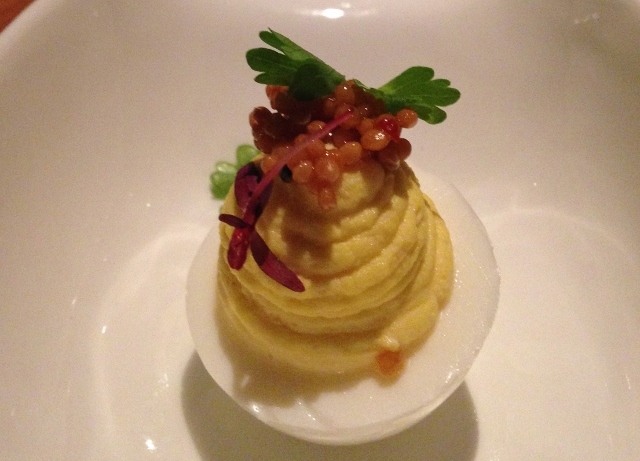 Topped with pickled mustard seeds and a bit of local microgreens, simple and lovely. For my carnivorous friends, they also include bacon marmalade. Put these on top of your must-eat list in Nashville. I’ve told you about the thoughtfully designed room, the amazing food and even the parking. 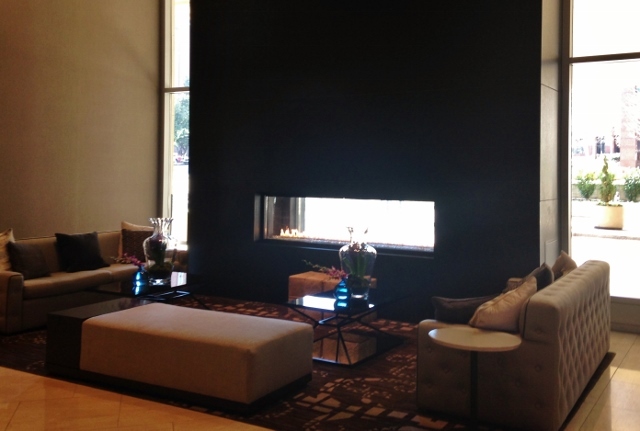 I have to tell you what really made our stay at the Loews Vanderbilt so nice: the staff. One morning as we stepped out of our room, a member of the housekeeping staff said, “Good morning, Mr. and Mrs. Perry!” What a way to start the day! Each and every time we passed through the lobby, the stately older gentleman at the bell desk offered us assistance and always told us he appreciated us staying with them. We saw a guest checking in her with sweet dog and noticed her dog was welcomed with a goodie bag. There’s even a room service menu for dogs. The shuttle driver who dropped us off for the concert quickly started a conversation with us and shared even more restaurant recommendations. As he dropped us off, he wanted to make sure we knew how to make our way back to the hotel. We wanted for nothing during our stay, truly one of the loveliest hotels I’ve had the pleasure to stay at in my travels through 49 states and 18 countries. Unrivaled hospitality at the Loews Vanderbilt, simply unrivaled. There’s so much more I could say, but what I really want to say is this: I don’t make multiple trips to many places simply because there are so many places I want to visit and never enough time. 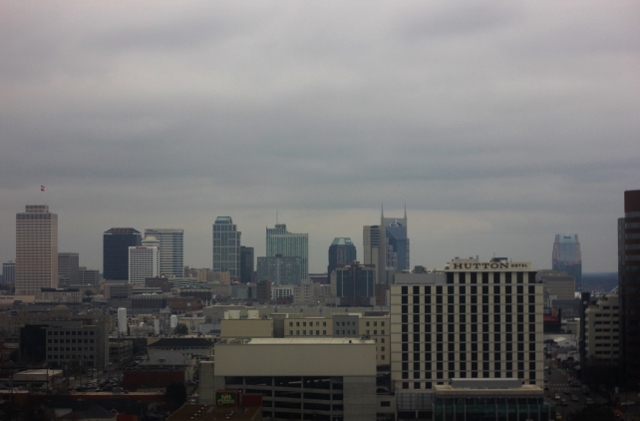 That said, I cannot wait to visit Nashville again. And you know I’ll be staying at the Loews Vanderbilt. I hope you’ll stay there on your next visit, too. The Loews Vanderbilt is located at 2100 West End Avenue, Nashville, Tennessee. 615.320.1700. 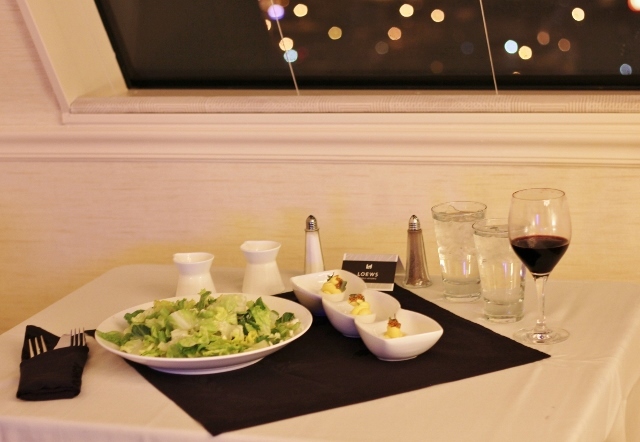 Reservations 800.336.3335. Mason’s Restaurant and Mason’s Bar are located inside the Loews Vanderbilt. The I Ate Here and I Stayed Here series are not intended as reviews, rather a summary of my experience. * You may or may not have a similar experience. Accommodations, menu prices, items and ingredients featured were current at the time of writing. Please read the menu carefully and ask for assistance in ordering if you have dietary restrictions. It’s a good idea to call ahead and let the restaurant know of your food needs. *Writing bad reviews doesn’t feel good. Only in extreme cases (a total of two in five years) where gluten has been apparent in my food or the handling of my food restrictions was of great concern do I share anything less than a recommendation. I’d rather share a good recommendation with you. I hope that’s what you are looking for anyway, recommendations on where to dine, great places to travel and rest your sleepy head. Thanks for understanding. Disclosure: I received the lovely surprise of a room upgrade and tasty nibbles delivered to our room one evening. I paid for a standard guest room, parking, all meals and beverages mentioned in this post. It was a lovely stay. And more places should offer deviled eggs!